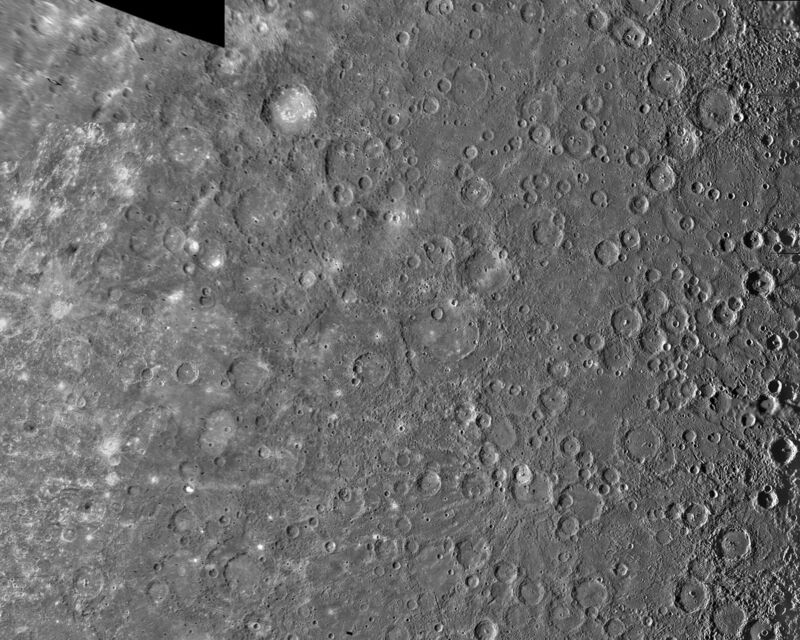 The Kuiper Quadrangle was named in memory of Dr. Gerard Kuiper, a Mariner 10 Venus/Mercury imaging team member and well-known astronomer, who passed away several months before the spacecraft's arrival at Mercury. 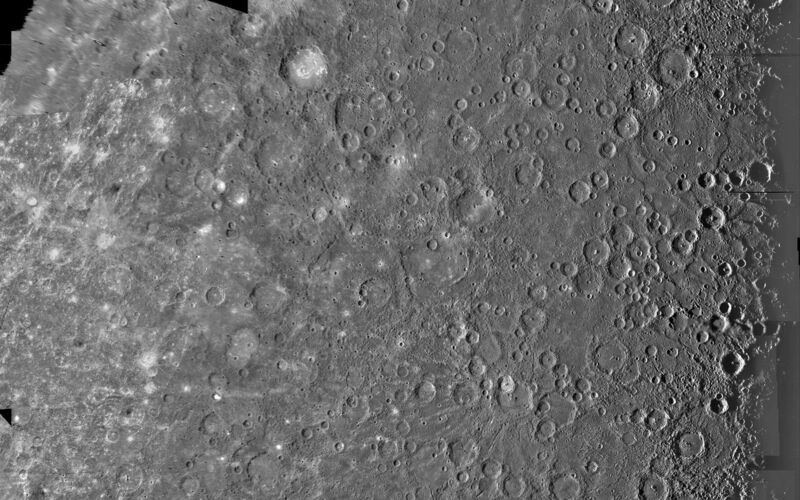 The Kuiper crater, located left of center, is the brightest and perhaps youngest crater is 60 km in diameter located at -11 degrees latitude and 31 degrees longitude. The Image Processing Lab at NASA's Jet Propulsion Laboratory produced this photomosaic using computer software and techniques developed for use in processing planetary data. 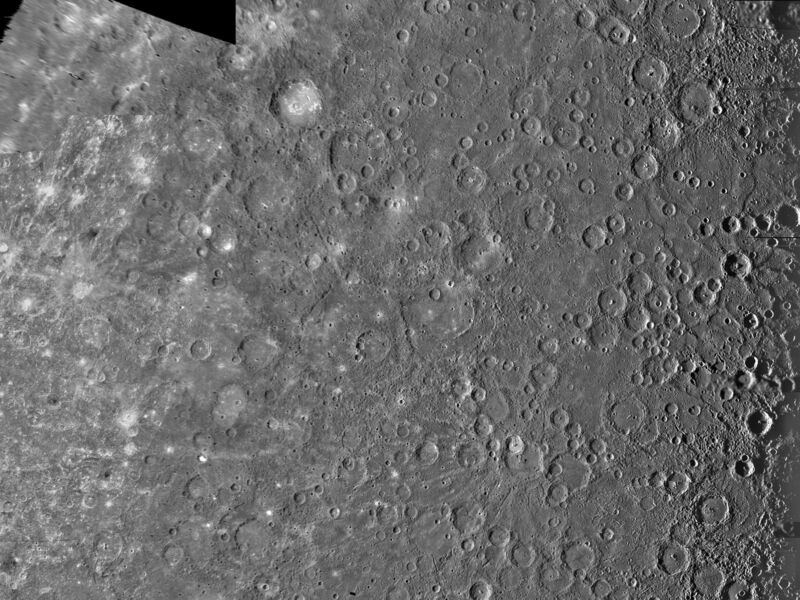 The images used to construct the Kuiper Quadrangle were taken during Mariner's first and third flybys of Mercury. The Mariner 10 spacecraft was launched in 1974. The spacecraft took images of Venus in February 1974 on the way to three encounters with Mercury in March and September 1974 and March 1975. 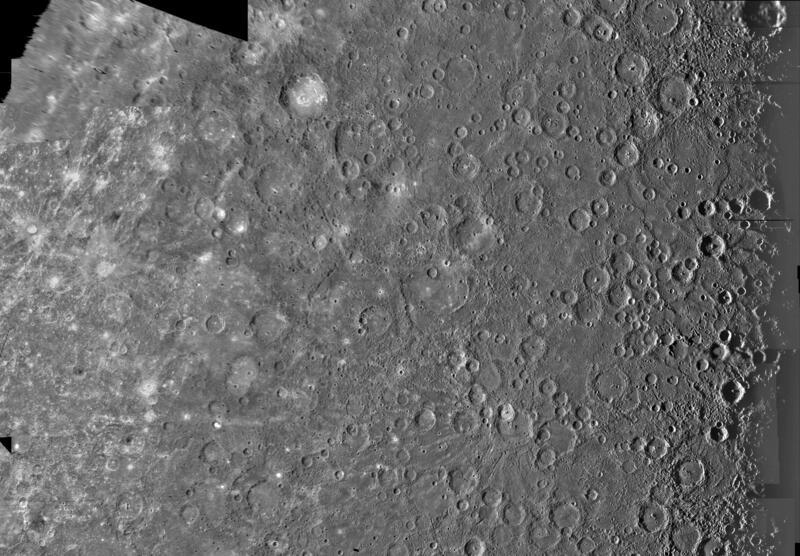 The spacecraft took more than 7,000 images of Mercury, Venus, the Earth and the Moon during its mission. The Mariner 10 Mission was managed by the Jet Propulsion Laboratory for NASA's Office of Space Science in Washington, D.C.